What Is Sound Training Online? Sound Training Online is a learning platform that breaks down the barriers to accessing high quality music education. Our goal is simple – we want to provide affordable access to online music courses that have been created by music industry professionals. These experts teach you the skills needed to build a successful career in the competitive music industry. We do this by providing access to our full range of online courses through a low cost Subscription. Once Subscribed, you can access all courses anytime, anywhere, and complete them at your own pace. If you want to receive personalised one-to-one tuition from an industry professional, you can enrol on a Premium course. The choice is entirely yours. With 30 years of educational experience through the renowned Sound Training College, Sound Training Online courses are up to the highest educational standards. Sound Training Online provides courses for Ableton Live, Logic Pro X, Maschine, Massive, Pro Tools, FL Studio, Songwriting, and Music Theory. 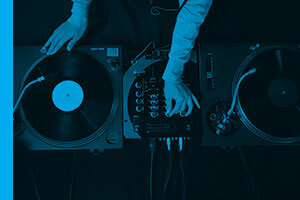 All courses are created by music industry professionals who have built careers in the music industry. Our courses are delivered through an engaging and structured learning path of video tutorials, audio examples, text resources and practical assignments, ensuring the best possible learning outcomes. Our innovative learning platform provides students with the freedom and flexibility to learn on their own terms. All Sound Training Online Lecturers are active Music Industry professionals, who have built and maintained successful careers within the Music Industry. Using their expertise and years of experience, these professionals have created courses that teach a unique range of skills, so you too can build a successful musical career. Sound Training Online lecturers focus on you as an individual. As a Premium student, you are provided with personalised feedback and guidance throughout your musical journey. This will allow you to greatly improve the quality of your productions, rapidly increase your workflow, and most importantly, realise your musical ideas. 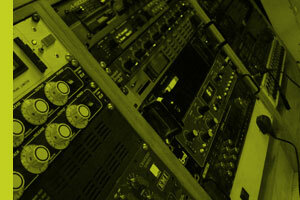 Sound Training Online has partnered with some of the best names within the Music Industry. Not sure how Sound Training Online courses work? Please check out our Frequent Asked Questions! All of our course content is created by active music industry professionals. These experts show you the detailed production process from start to finish, helping you lift your musical skillset towards a professional standard. Fit your learning in around a hectic lifestyle by accessing course material at a time and place that suits you. Review content on the move by using your mobile or tablet device. Premium students receive one-to-one support and feedback from industry professionals on weekly production-based assignments. This guidance will help develop your initial track ideas into finished productions. Rapidly increase the speed of your workflow by learning all the tips and tricks of the trade from the people who make music for a living.